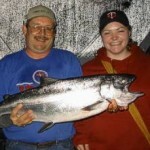 A beautiful Monster “Springer” caught by Mark from Darlington Florida with daughter, Shane. Great fighter took a team effort to land. 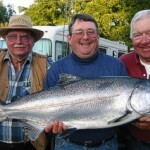 This 38 pounder is Big Al’s biggest fish ever. 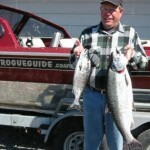 Chuck and Woody from Coquille with a nice pair of Rogue Chinooks! 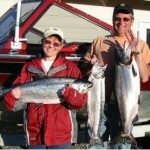 Ron & Debbie Crumpacker with a ‘double’. 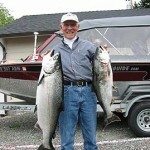 (two fish on at the same time)! 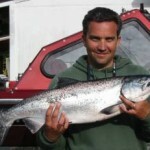 This is Dan Barba and his first Salmon ever. 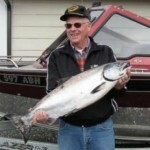 Don Wienthal with his first Spring Chinook! 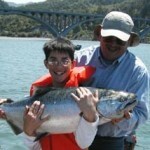 Jacob Weston with his first Rogue River Salmon! 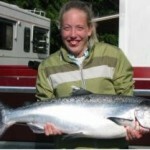 Miss Jefferies with her first fish. 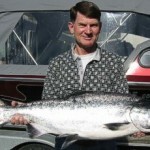 Jim Billings from Florida with a great Spring Chinook! 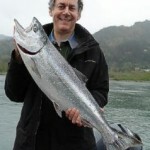 Jim Kessler with his first Salmon and a great limit! 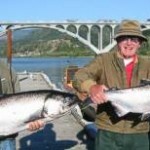 John Jefferies with a fair day on the river. Kalina Jones with her first catch ever! 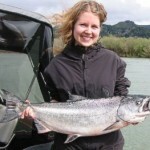 Katie Venzke with her first Salmon! 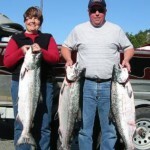 Here is “the newlyweds” with a great catch on Labor Day! 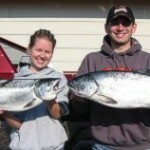 Les Jr & his Fiance, Kalina with her catch! 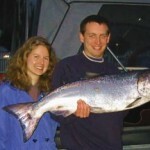 Lester & Kalina with 32lb Springer caught April 23! 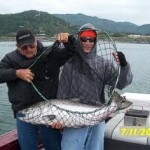 Matt Pronesti with his first Chinook Salmon! 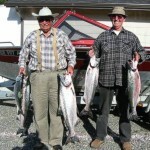 Ralph & Herschel with a nice catch. Two of these were caught at the same time. 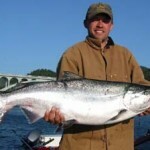 Ryan Carroll from Arizona with a great Chinook Salmon! 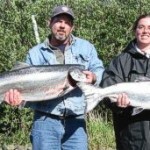 Mark & Sheree with a nice catch. 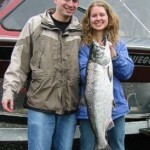 This is Sheree’s first fish she ever caught.